Yahoo Gemini: The Good. The Bad. The Ugly. It’s tough times in the gun-slinging world of PPC. Google AdWords has been dominating the scene for the longest while, with the Yahoo/Bing advertising allegiance trying to play catch-up. Is the small town of PPC big enough for yet another advertising platform? This all depends on whether the concept behind Yahoo’s unified marketplace for mobile search and native advertising is up for the challenge. In 2013, Yahoo introduced the world to “Stream Ads”. This was Yahoo’s first step towards creating its own native advertising solution. 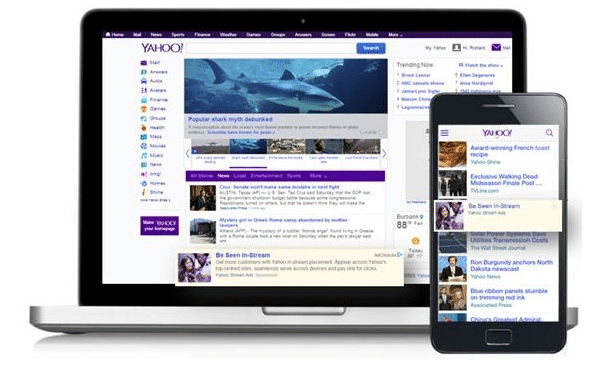 Yahoo Stream Ads, which are designed to blend seamlessly into the content around it, are used in personalised content streams across the Yahoo run sites (Yahoo News, Yahoo Sports, Yahoo Movies and Yahoo Mail). Today, Gemini has grown into a self-service advertising platform that offers users both native advertising and mobile search. Enrique believes that search is one of the main drivers that will “take the Gemini platform to the next level”, especially focusing on the way native and search ads complement each other across the mobile platform. As Google keeps banging the drum that is “year of the mobile”, Gemini provides another platform that enables advertisers to target those mobile users. Anyone familiar with the other advertising platforms will know that AdWords tries to set the golden standard, as far as usability and functionality. Google is by no means perfect at this, but more often than not, seems to be quite on-point. Bing, the ‘second cousin’ of Google, has also had a few years to catch up with the bar set by Google with AdWords. Although not all features are emulated (remarketing, I’m looking at you), they are doing a good job of making sure AdWords users feel at home, and can intuitively navigate the interface. Then there are those that try and break the mould, and do things differently. Gemini falls into this category. The slick new interface that does its best to be “Apple-esque” with its sleek, svelte appearance, leaves even the most experienced marketer scratching their head once in awhile, looking for a menu or setting that “should be right there!”. It leaves a slightly dull taste in one’s mouth when trying to do something that should be very simple, like getting the last 14-day’s advertising spend. What do these buttons even mean?! Lack of refined targeting options, difficulty of reporting, lack of conversion tracking, and the general lack of information provided in the interface, make the Gemini platform feel somewhat unfinished. Not to say that the platform is all bad, but with an ex-Googler leading the charge at Yahoo, we were expecting more from the Yahoo that we used to love so much.